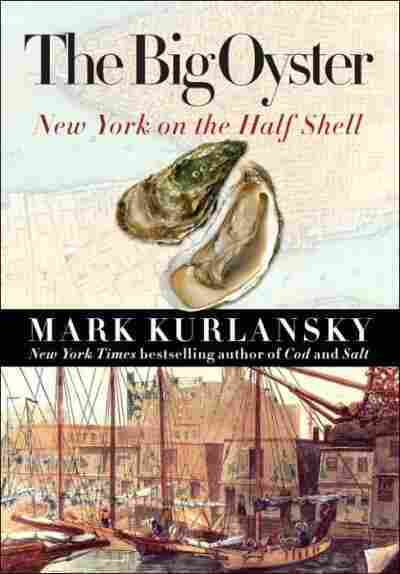 'History on the Half Shell' in 'Big Oyster' Author Mark Kurlansky wrote Cod and Salt. Now he moves on to the tasty bi-valve with The Big Oyster. He explores a time in New York history when oyster was king. He debunks some oyster myths for Liane Hansen. Author Mark Kurlansky wrote Cod and Salt. Now he moves on to the tasty bi-valve with The Big Oyster. He explores a time in New York history when oyster was king. He debunks some oyster myths for Liane Hansen. The month of April is the last one before September which contains the letter R. As far back as 1599, William Butler, a contemporary of Shakespeare, wrote, It is unreasonable and unwholesome in all months that have not R in their name to eat oysters. However, Mark Kurlansky writes that this is an ancient and somewhat mythological belief, but with an element of truth. Kurlansky, who has written bestselling books on cod and salt, has now written one on that tasty bivalve. It's called The Big Oyster: History on the Half Shell, and he's in the studios of member station KUOW in Seattle. Welcome to the program, Mark. Mr. MARK KURLANSKY (Author): Nice to talk to you, Liane. HANSEN: All right. So about the months with R in them, how did this start? Mr. KURLANSKY: Well, it dates back to the Romans and it's supposed that, you know, it had something to do with the fact that if we didn't have refrigeration, oysters didn't do very well in warmer months. Of course, the Roman months didn't have R's in them; it's a later English language thing. HANSEN: Well, the explanation as you say, there's a bit of truth in it for New York oysters, specifically. Mr. KURLANSKY: Yeah, because you know, when the waters start warming up, which is in May and June, oysters start spawning and it's generally agreed that spawning oysters are not of a particularly pleasing texture. And you know, so people think also for conservation reasons that would be a good time to lay off of them. But many people believe that oysters are their best right after spawning, so you could argue that August is actually the best month for oysters. HANSEN: Why is the history of the oyster a history of New York itself? Mr. KURLANSKY: It's a kind of a lost history, but New York was an oyster center. It was always associated with oysters. In past centuries, if you were to say, I'm going to New York, the most likely response would be, enjoy the oysters. It was known for oysters. Oysters were sold in stands on every street corner. You could go to these huge open markets downtown any time of night and get oyster stew or raw oysters. All five boroughs produced oysters. There were enormous oyster beds. New Yorkers never think about it this way, but New York City is the estuary of the Hudson River and it's this vast estuary of tidal basins and marshes and grassy wetlands and places that are perfect for growing oysters. And they did by the millions and ate an enormous amount of them and also sold them all over the world. HANSEN: And they were cheap too. I mean for centuries they were cheap. Mr. KURLANSKY: Incredibly cheap. From the time of the American Revolution till the last beds were closed in 1927, the price barely moved and there was something called The Canal Street Plan, which was all you could eat for six cents, at a time when Delmonico's was charging 50 cents a berry for out-of-season strawberries. HANSEN: Are they nutritious? I mean don't you really have to eat a lot of them in order to get nutrition? Mr. KURLANSKY: Yeah, they've not particularly nutritious, which is why it fascinated me to realize that the Leni Lenape Indians, who lived there before Europeans came; when the Europeans first came, they found these huge piles of oyster shells and some of them are still around and have been carbon-dated to as far back as 6900 B.C. ; and to think that these hunter-gathers, who you think of as people who would be very pragmatic about food, so you have to conclude that these hunter-gatherers were doing what we were doing, what we still do, you know, eating oysters, 'cause they're just a treat. HANSEN: You know, if you walk into the Oyster Bar, which is at Grand Central Station in New York and you look at the menu, I mean it's almost half a page of names of oysters. Do the names really signify anything? I mean you could go into a restaurant now and order Blue Point Oysters. What does that mean? KURLANSKY: Blue Point was supposed to mean oysters from Blue Point, which was a town on the Great South Bay in Long Island, but Blue Point is getting to be a very bogus name. They make oysters in Norwalk, Connecticut and call them Blue Points. Everywhere they're calling them Blue Points so it's a name that's kind of lost its meaning. But originally these names designated things and in the days of New York City oysters there were Staten Islanders and Jamaicas and Rockaways and East River. The interesting thing about oysters is that they're kind of like wine grapes in that where they grow them makes all the difference. Actually, all of the oysters of Eastern United States, from Louisiana to Florida to the Chesapeake to New York all the way up to Newfoundland, are biologically identical, and yet, you know, if you put them in one cove or another they will taste different, the shells will look different, depending on the salinity of the water and the temperature and the type of nutrients, and even the speed of the current can affect it. HANSEN: I've learned some interesting things. You talk about the ancient Romans eating oysters, and the denarius, which was the coin of the realm, was actually based on the value of an oyster? KURLANSKY: Yes, yeah. A lot of oyster lore goes back to the Romans. The Romans were great oyster lovers and they were the first people to plant oysters. HANSEN: You also tell us in the book, I mean something that sometimes the shuckers don't want us to know. KURLANSKY: Well, we eat oysters live and an oyster is an animal with a brain and a beating heart. If an oyster is shucked properly, its heart is beating as it slides down your throat. HANSEN: Hmm. Knowing what you know about them and everything that you've written about them, do you eat them? KURLANSKY: I absolutely love them. I think they're a unique food. They just taste of the essence of the sea and all of its wildness and romance and adventure. It startles me every time I taste a good oyster, just how rich and magnificent an experience it is. HANSEN: A final myth. Are oysters an aphrodisiac? KURLANSKY: Well, you know that's what everybody wants to know. I personally think that anything that you believe is an aphrodisiac can be an aphrodisiac. There's not a lot of science to back it up. You know, all through history people have believed that oysters were aphrodisiacs, and the fact is that in New York City for centuries they had these basement oyster cellars, cellar C-E-L-L-A-R, where you could get lots of oysters and meet with prostitutes, and there was always this connection. You know, they were in New York's two most famous products, oysters and prostitutes. 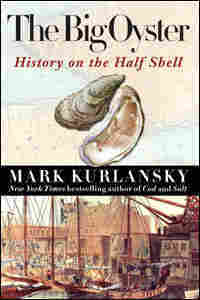 HANSEN: Mark Kurlansky is the author of The Big Oyster: History on the Half Shell. It's published by Ballantine Books. Mark, thanks a lot. KURLANSKY: Great talking with you, Liane.